"The best ever clam chowder you have ever tasted, and it is easy and fast. You will pass this recipe along to your family and friends. If you like more clams you can always add more. Sometimes I will also cube potatoes and throw them in." 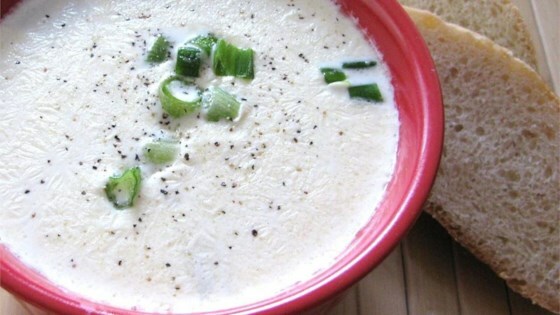 Mix cream of celery soup, cream of potato soup, clam chowder, 1 can undrained clams, 1 can drained clams, half-and-half cream, and whipping cream into a slow cooker. Sorry but I have had better Clam Chowder. Very little flavor and thin. I like a thicker chowder myself.